RANCHO CUCAMONGA, CA. 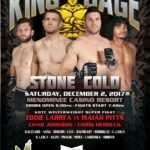 (October 19, 2017) – King of the Cage, the leader in casino mixed martial arts entertainment, returns to Menominee Casino Resort in Keshena, Wisconsin on Saturday, December 2, 2017 with a nationally broadcast event headlined by a Catchweight showdown between Eddie Larrea vs. Isaiah Pitts. 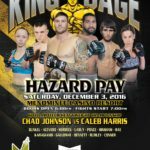 The co-main event will feature Chad Johnson making his professional debut and Christian Herbeck will be fighting in the featured bout. Eddie “Fast” Larrea, Rhinelander, WI. 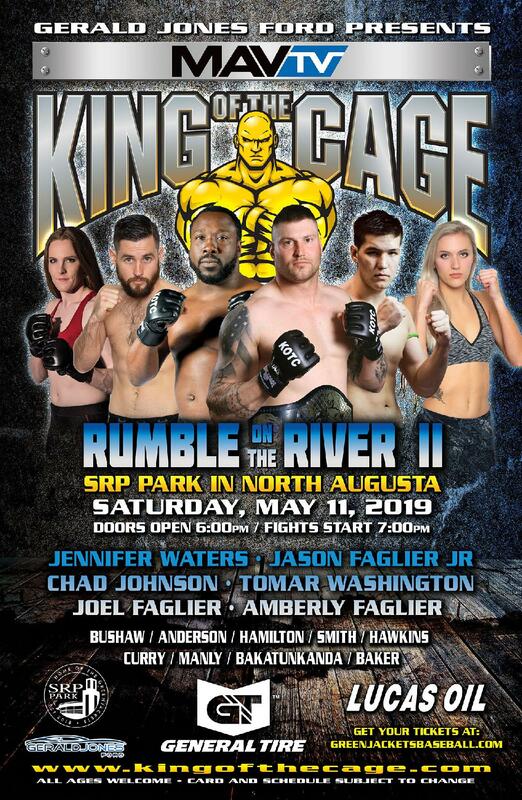 (Independent) vs Isaiah “Pitbull” Pitts, Wausau, WI., (Rising Son MMA). Both fighters are two of Wisconsin’s toughest MMA veterans. 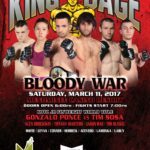 Chad “Big Rig” Johnson (6-2), Oconto Falls, Wisconsin (Oconto Falls MMA) vs. TBD. 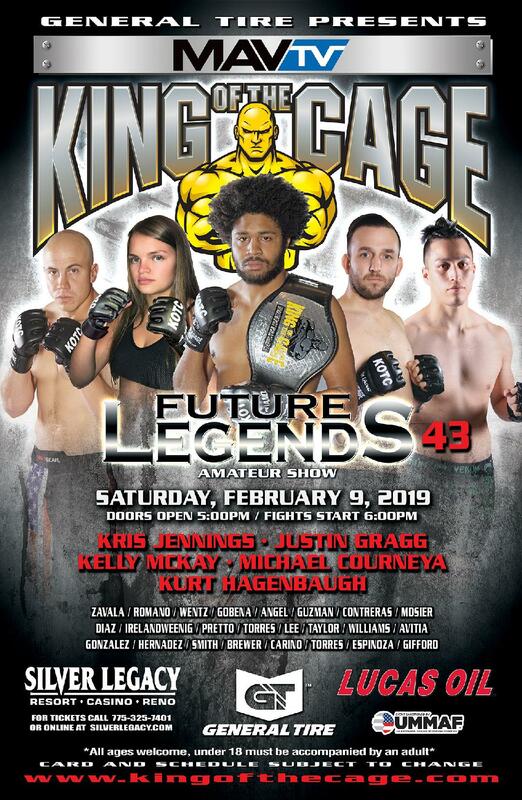 Featured Event – Light Heavyweight 205 lbs. Christian Herbeck (3-1), Oconto Falls, Wisconsin (Oconto Falls MMA) vs. TBD. Herbeck is top ranked and his victories have all been in the first-round. Reserve seating and Ringside tickets on sale soon. 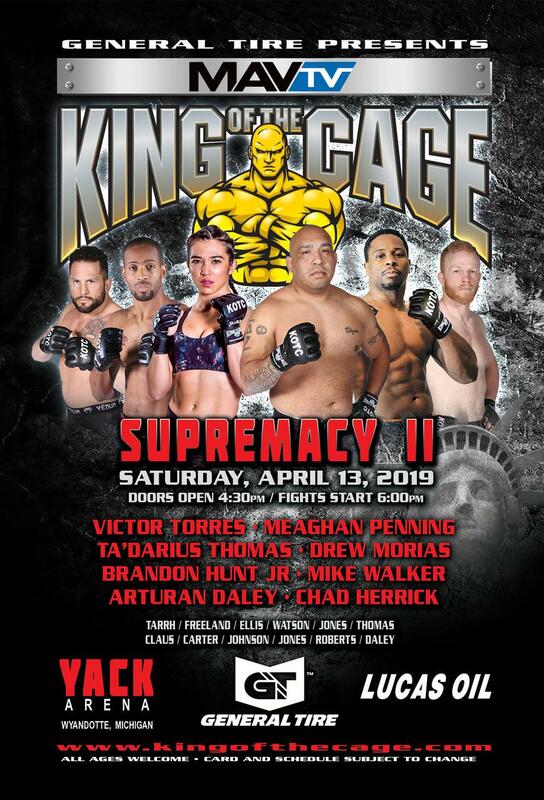 For more information or to purchase tickets, please visit Menominee Casino Resort Box Office from 10:00 am – 10:00 pm or at www.cagetix.com Must be 18 or over to attend this event. We have a group of friends that have been attending Menominee casino for several years. We really enjoy it. We were wondering if you have a weigh in event on Friday?